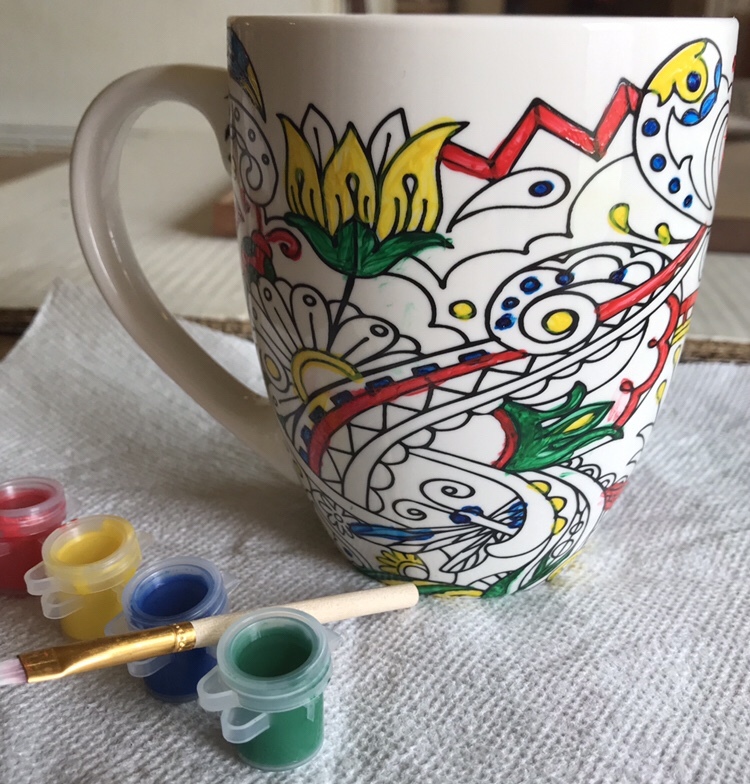 Well, I finally got started on painting this ceramic mug. I’d gotten it a long time ago from my daughter, I think for my birthday. It came with these markers to use, but they were pretty much dried up, even though the package was new. 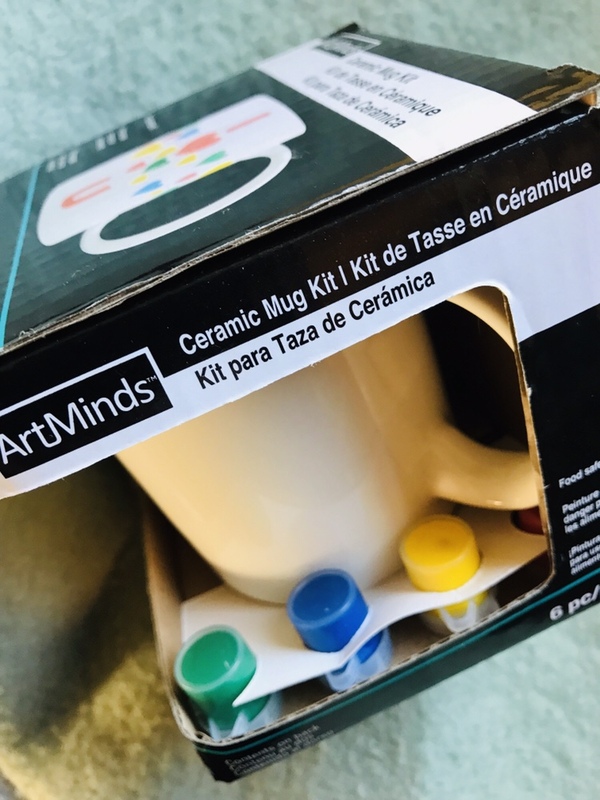 So, I found this other blank mug to paint, that has little paint pots. I couldn’t find any other food safe markers, and the paints were food safe, it said. I found out that painting the design is much harder than coloring with pencils or markers in a coloring book. Way harder! It’s messy, and almost impossible to stay in the lines. So, it’s very slow going. The paint does dry in between sessions, though, so that is good. Anyway, I’ve got a long time to go before I can bake them to set the colors. So far it’s fun to do, so we’ll see how it is when I’m finished. 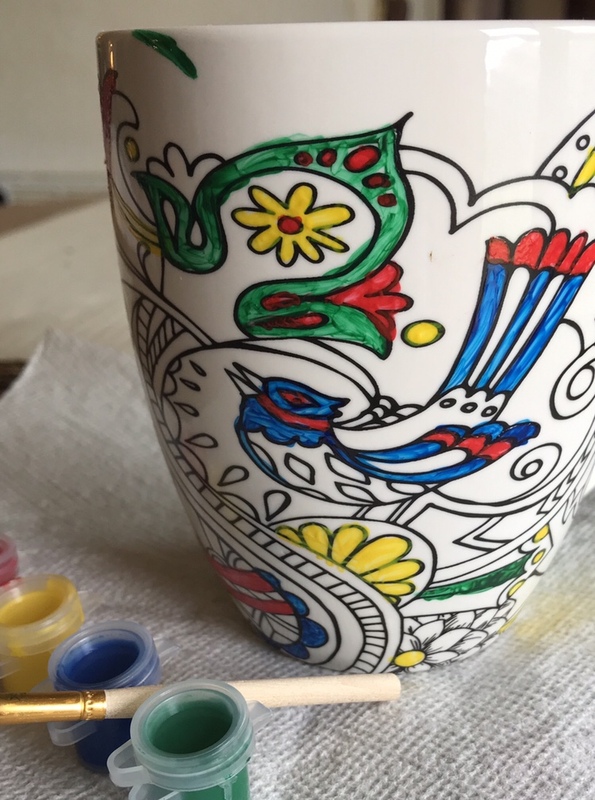 I haven’t done anything in my coloring books lately, but here’s what I’ve done so far on the mug. 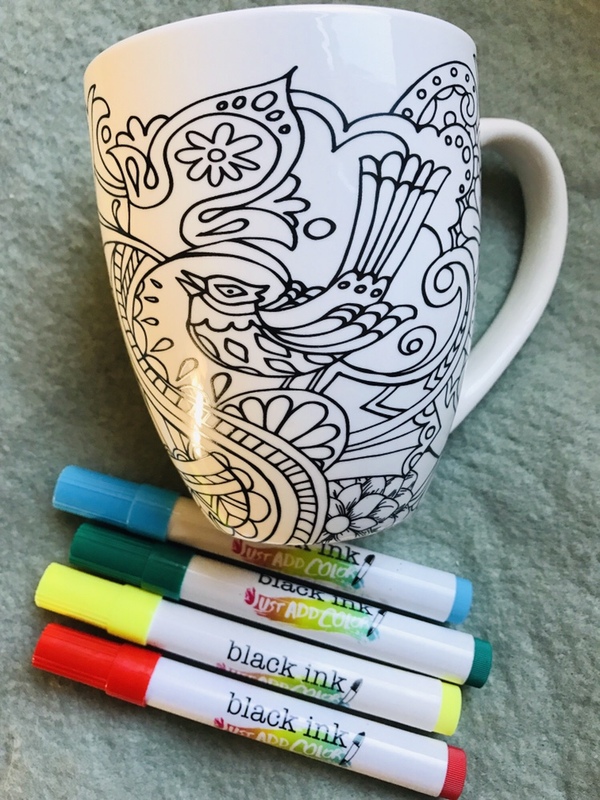 My husband got me one of those too and I had the same trouble with the markers it had. I tried using some other paint markers I had but it didn’t look right so I gave up. I have enough mugs that I don’t really need it. I was going to use it to hold pencils or something anyway. Yours looks great! Thanks! I’ll use mine for coffee, as a couple of my regular mugs have gotten chips around edges, so a new one is good. I loved it. I’m going to try to get one of those. What about using fine point Sharpie colored pens? Would those work? I will have to research that for you! I found this great article!